Poeth announces the AirConveyor for 40% more energy efficiency and 75% less maintenance when transporting powders and granulates. 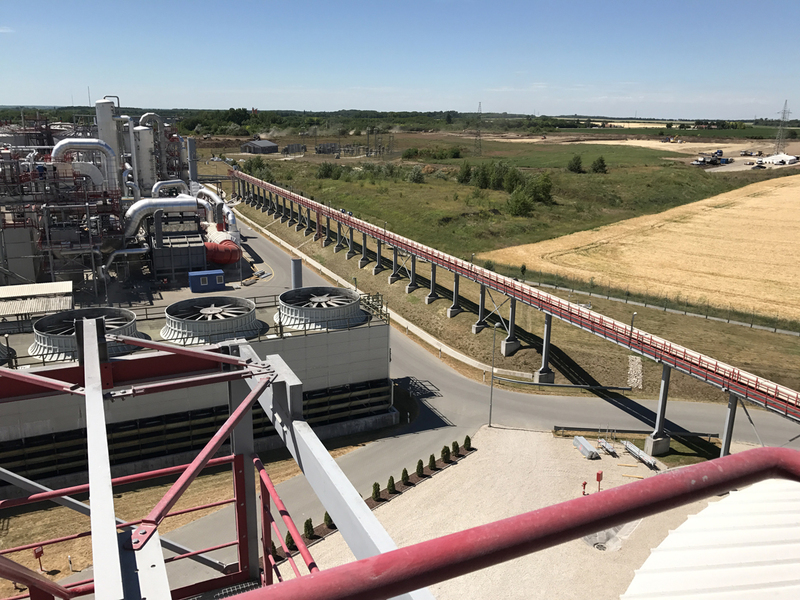 Poeth has designed its new AirConveyor specifically for companies that want to transport powders, pellets and granulates cost-effectively and efficiently. This innovative system offers companies 75% less maintenance costs after approx. 3 years operating time and consumes 40% less energy. The air-supported conveying system from Poeth is suitable for damage-free transportation of bulk goods over short or extremely long distances. The AirConveyor generates low noise emissions and is dust-tight. As a result, the new conveying system from Poeth also has a minimum impact on the environment. Poeth has developed a new and efficient generation conveying systems where the conveyor belt floats on a cushion of air. Poeth‘s AirConveyor features a perforated channel and compact, specially designed fans. By providing a constant supply of exactly the right quantity of air, Poeth has succeeded in creating a powerful air cushion directly under the conveyor belt in its new conveying system. This powerful air cushion makes it possible to raise the conveyor belt, along with the bulk goods it carries, and keep it airborne based on the same principle as that used by a hovercraft. Only one conveyor roller, located in the drive, tensioning and belt return station, is needed to set the conveyor belt in motion. Poeth‘s new AirConveyor eliminates 95% of all moving parts in comparison to traditional belt conveyor systems. As a result, Poeth‘s AirConveyor generates far less friction. This makes the air-supported conveying system 40% more energy-efficient and significantly reduces noise emissions (<80dbA). Fewer moving parts result in much less maintenance and negligible conveyor belt wear. Fewer rotating parts also provide less heat and less risk of exposures. 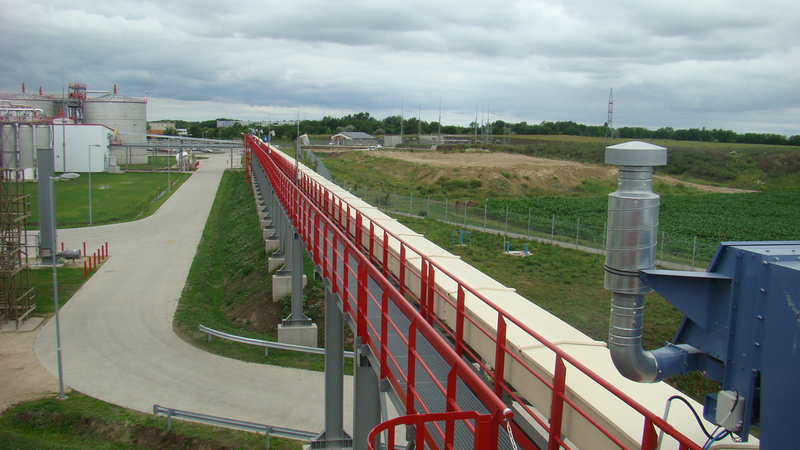 The AirConveyor is suitable for extreme circumstances and difficult to reach places. This also makes the new AirConveyor extremely reliable and cost-efficient. The new belt conveyor from Poeth is suitable for transporting raw materials in the feed, food, chemical and bulk industries. 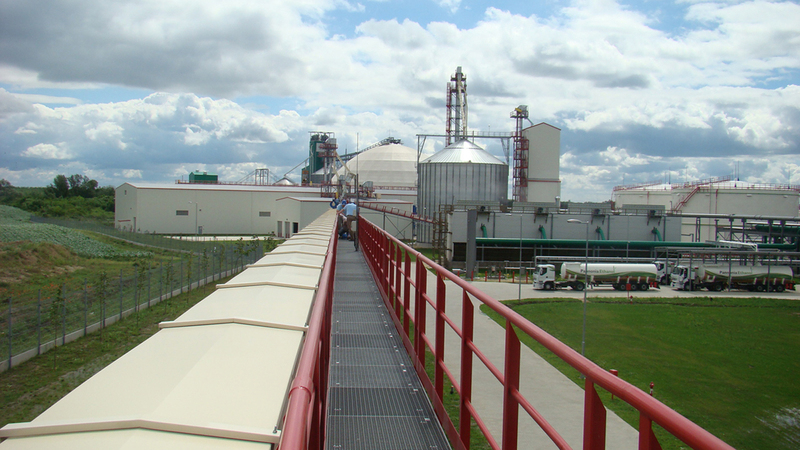 The AirConveyor is used to transport a wide variety of products such as salt, sugar, cereals, seeds, animal feed, biomass, coal, ore, sand and gravel. The advantage of belt conveyors is that they transport products without agitating them. Consequently, the new AirConveyor from Poeth is ideally suitable for conveying fragile, explosive and sticky raw materials without risking separation. The new AirConveyor is capable of high-capacity transportation (3 m3/hour – 2000 m3/hour), both horizontally and vertically. Poeth offers its AirConveyor as an enclosed, dust-tight system for both indoor and outdoor application. The AirConveyor is also available according ATEX and Food Grade guidelines (FDA, EC 1935/2004 and 3.1B material certificates).